My husband and I will be having our third child this coming May. 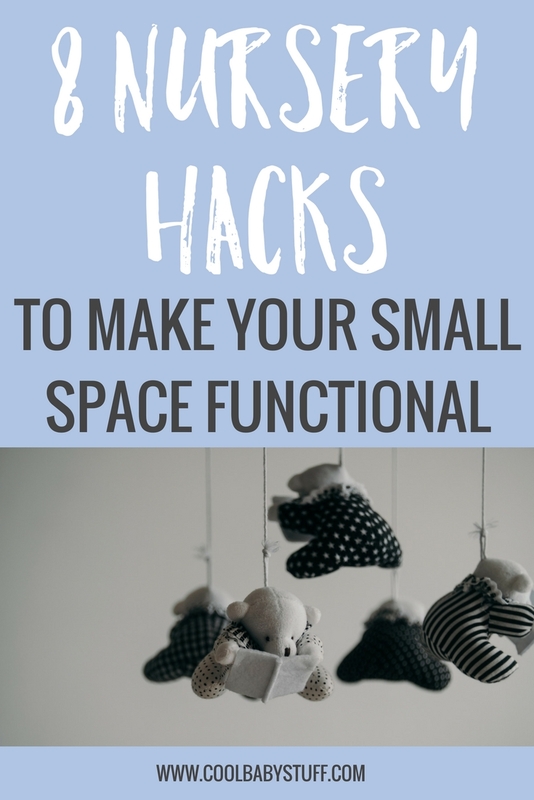 Not only am I scrambling to close up loose ends before baby is born but I am also trying to figure out how to fit five peoples things into a 1,000 square foot space and looking up the best small nursery hacks! If you find yourself trying to design your small nursery or “nursery space” here are some ideas to make the space as functional and easy to use as possible. Lord knows, we need all the help we can get to make these transitions as smooth as possible! 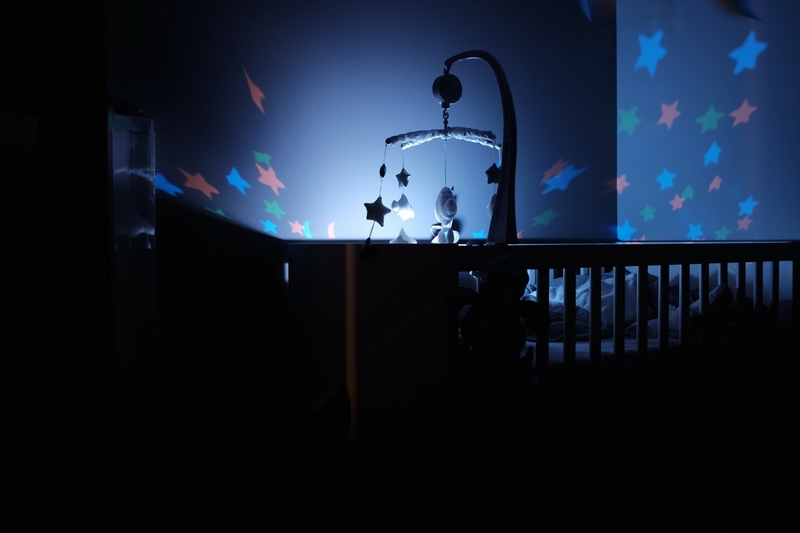 Hopefully these 8 small nursery hacks will help! Organization is key in a small space. Here are 5 clever nursery organization tips. Decorate and add color to your space with things like soft sided baskets, coat hooks with small embellishments and bunting to hang up sentimental tokens and future artwork, etc. If you are particularly tight on space, consider purchasing a mini crib instead of a regular size crib. Often these smaller cribs can be collapsed and stowed away and some are even on castors for easy movement. A fold down changing table is a great option if you don’t have the space for an actual changing table. A second option, is to purchase a changing pad and secure it to your own dresser top. This way you don’t have to purchase another piece of furniture and you can stow away diaper changing supplies in the top drawer. If you are fortunate enough to have high ceilings then you have won the jackpot for this hack. Wherever possible utilize shelves for decor, storage, clothing/ shoes and framed photos. Register for baby gear that is collapsible. Strollers, play gyms/ mats, swings and even cribs can be collapsible. These will save you a lot of space in between use as well as when baby grows out of them. One of my favorite (and super easy) IKEA hacks is to use spice racks for book storage. You can install these spice racks on a wall at your child’s height for easy access or attach to the side of a dresser. Photo frame shelves from IKEA can be used in a similar way. You will get enough toys without having to ask for them! Choosing not to register for toys also allows you to choose a few quality toys for your baby and then a few more as they show interest. Closets are often not maximized for functionality. Some have chosen to use their closet spaces for a variety of things: a nook for a crib or even a hidden changing table space. If these options don’t interest you, consider simply adding a second level hanger rod in the closet for extra clothing storage.